On the easel. . .
Honeysuckle is a reliable plant in the Maine climate, and I’d probably grow it for the hummingbirds even if it was fussy to grow. They flit in and out of the foliage from June to September and even the most competitive males find neutral territory to feed in peace on the red trumpets scattered over this huge, tangled bush. The purple flowers are Matronalis, or Dame’s Rocket, a member of the mustard family and much more deer-proof than Phlox, which they strongly resemble. The final work will be 36 x 24, and the medium is oil on panel. We’re about halfway done in this photo, wish me luck! This entry was posted in art, painting, the backyard, work in progress and tagged garden, oil painting, summer on October 20, 2016 by APo. We’ve had some precipitation this month but it has come as sudden downpours of heavy rain over a short period. My raised beds never absorbed much water because the deluge simply rolled off the dry, caked soil on top – although the recessed paths on the sides (where all the moisture ended up) generally looked great after a storm. This year, no matter how hard and suddenly it came down, rain pooled at the bottom of the depression where it would do the most good. After a week of sun and August heat the bottom of each waffle, shaded by plant foliage or mulch, is still moist and friable. 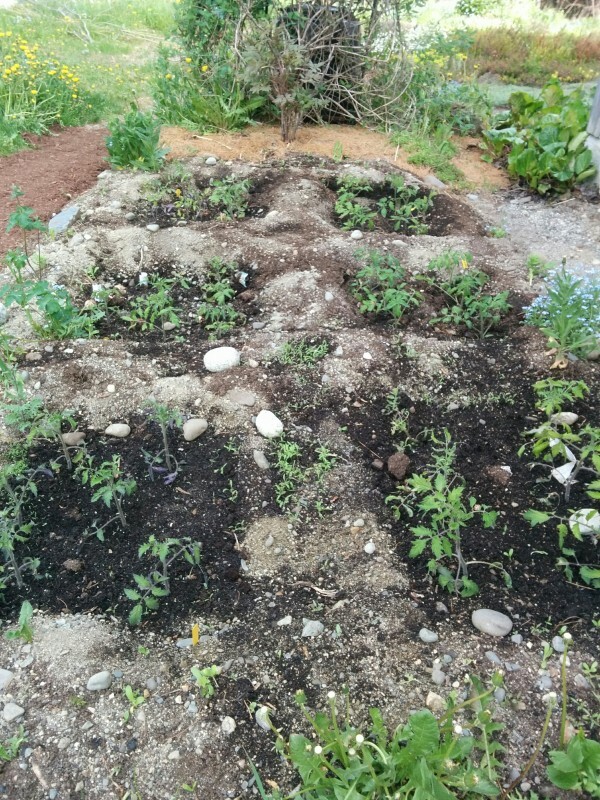 I have begun transitioning the entire garden over to recessed beds, mostly waffles but with an experiment in “swale” gardening on a south-facing slope (to be explored in a different post!). 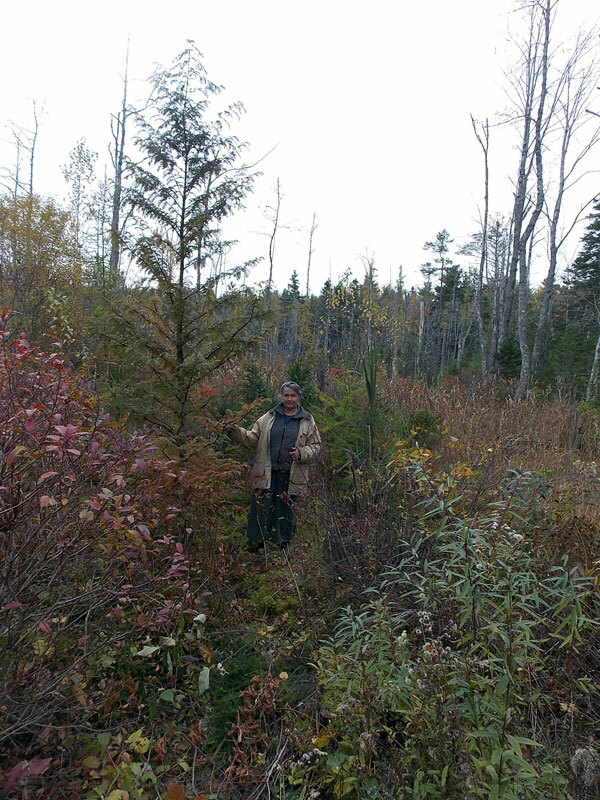 There are a few places where I’ve dug to a depth of 18″ and found ledge – very common in Downeast Maine. I’m using the same process of adding good soil to the bottom of the waffle, but will track these particular beds and see if drainage becomes an issue. I’ve also made a note not to plant root vegetables in these locations just yet! It may be that I eventually build higher walls around the ledge-prone areas to provide extra depth without digging, but soil is at a premium in this garden and the experiment will have to wait for now. This entry was posted in gardening, Waffle Beds and tagged garden, summer, waffle beds on August 26, 2016 by APo. 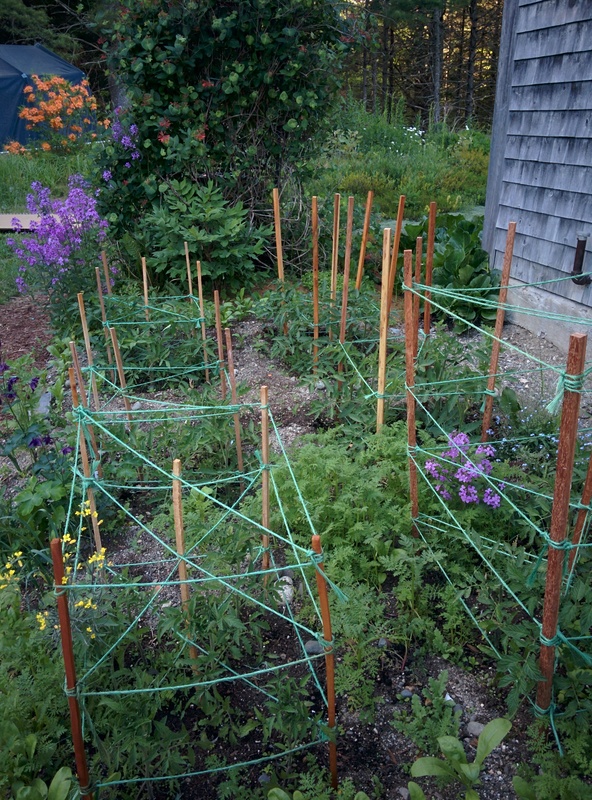 Waffle beds are the opposite of the raised beds that have become a fixture in US gardens since the 60’s. 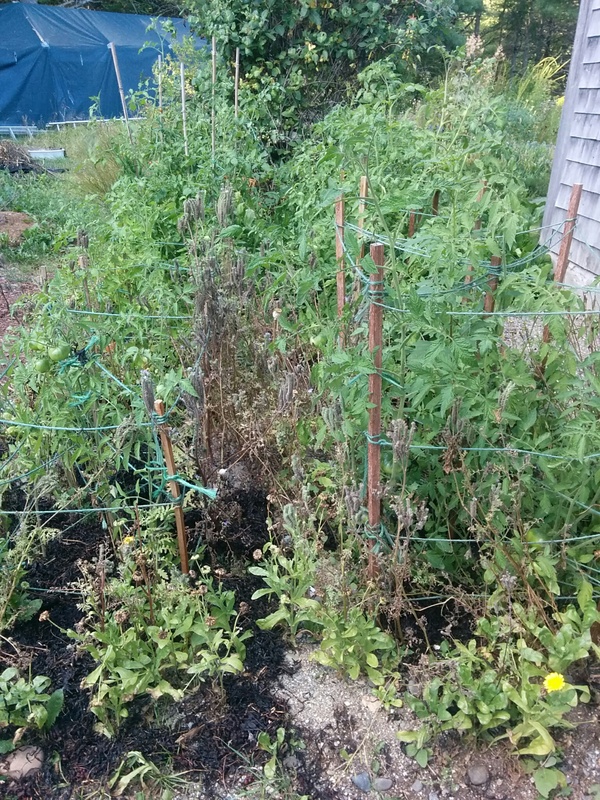 Unfortunately, raised beds don’t work well in my micro-climate: mid-summer droughts make it difficult to get moisture to the plant roots, and our soil is light and sandy and doesn’t compact well in a heap. 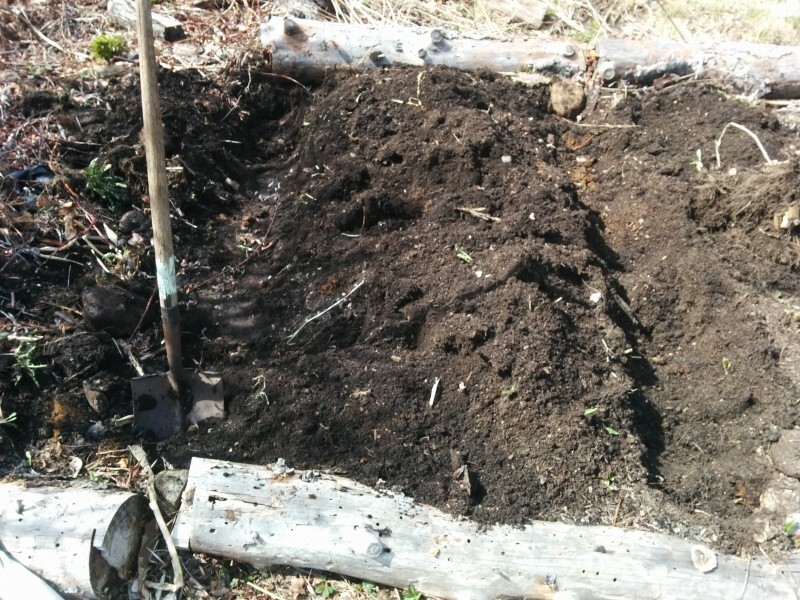 For years I’ve noticed that plants (mostly weeds) grow better in the depressions between beds but it wasn’t until this April that I began to take advantage of this. 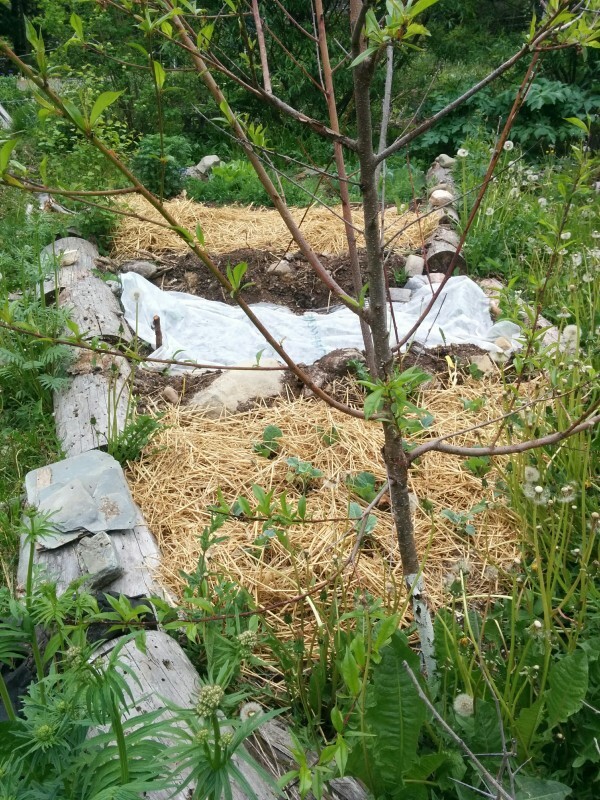 This is the first waffle bed I made almost two months ago, now full of well-grown celtuce and brassicas with a mixed cover crop around the edges. The depression seems to have kept the seedlings sheltered from the cold winds and night frosts during our late spring. The waffles definitely increase water retention. Below are the first beds I dug near the house for our tomatoes and you can clearly see the color contrast between the dry walls and damp lower level. 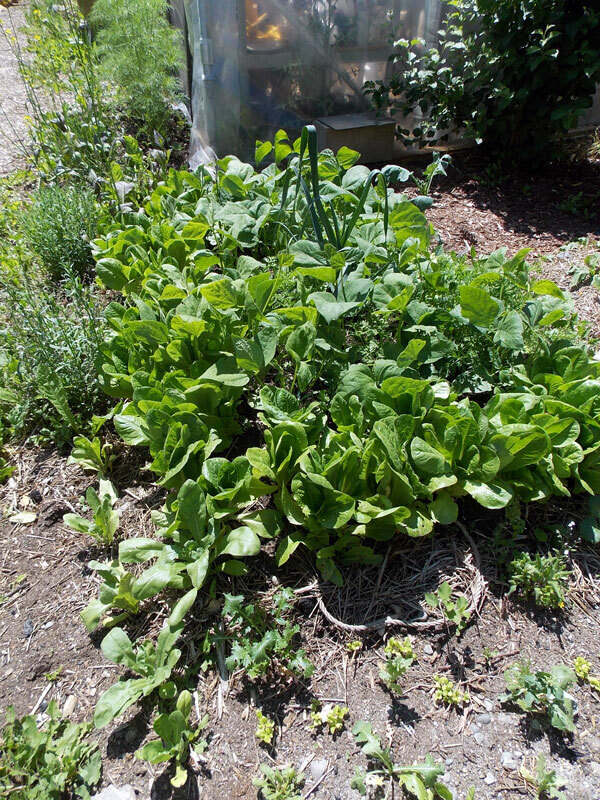 This bed in the lower garden has been divided into five waffles: peach tree, cabbages, Provider bush green beans (still under row cover), BlueGold potatoes, and the far bed of celtuce and brassicas pictured above. Everything seems to be thriving. I’ve planted the poor soil heaped between waffles with nasturtiums and a low-growing cover crop mix, mostly to help hold the soil in place during the first year. I’m pleased with this method so far! 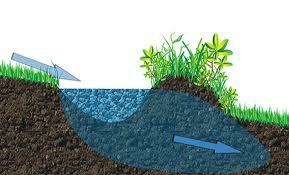 Next post will be on this weekend’s project: swales as a solution for “depression” gardening on a south facing slope. 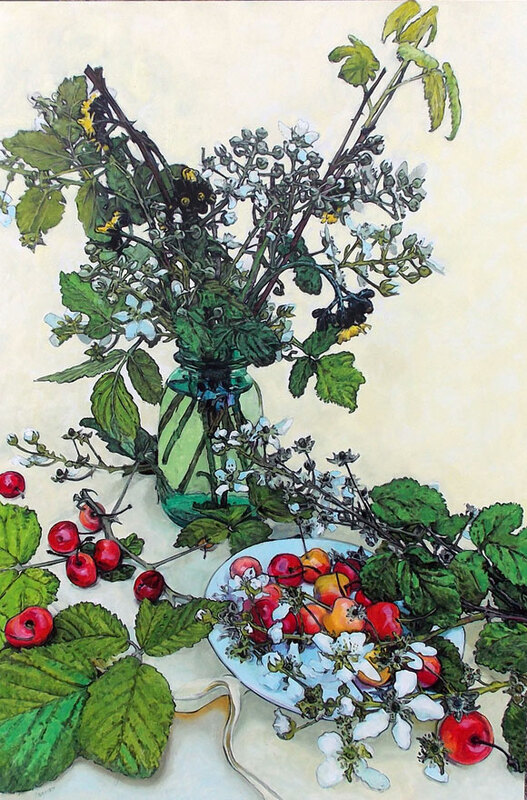 Here is a terrific introduction on swale gardening from Tenth Acre Farm. 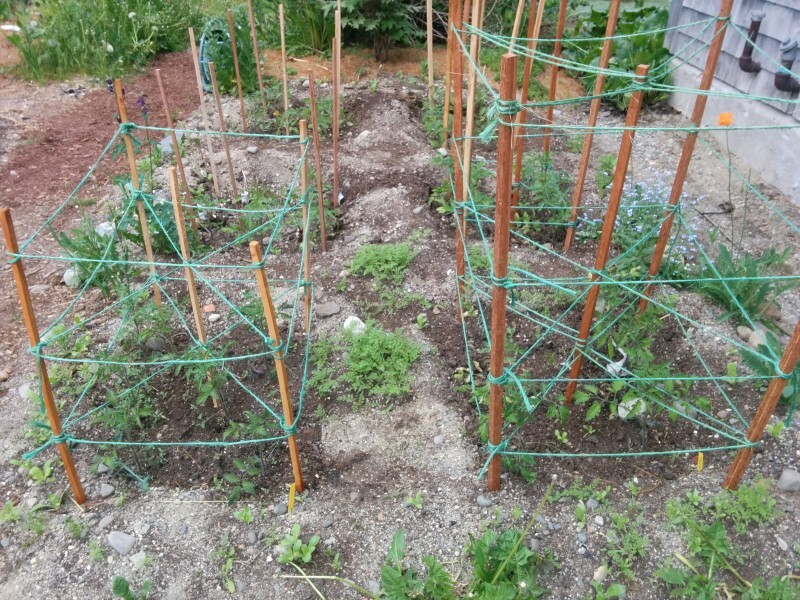 This entry was posted in gardening, horticulture, Maine, permaculture, science!, vegetable garden and tagged garden, summer, waffle beds on May 30, 2016 by APo. 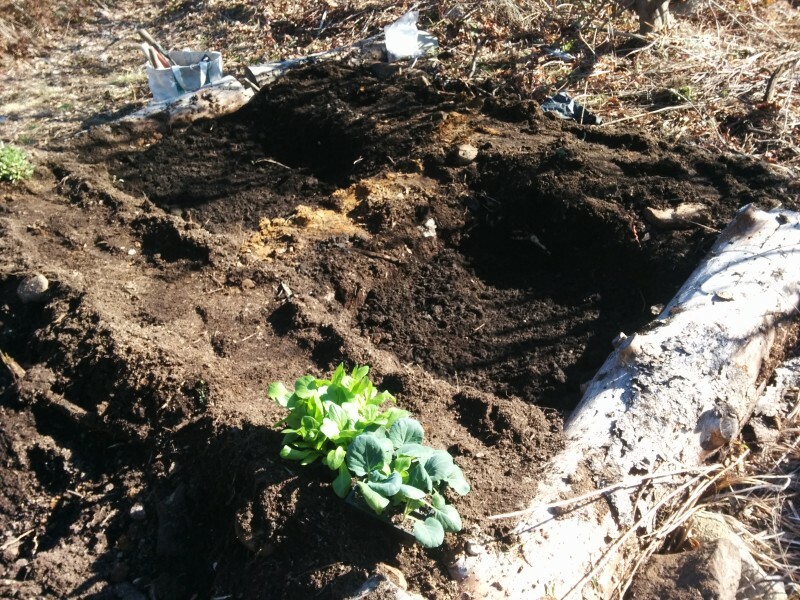 Yesterday I posted a little bit of history on the evolution of raised beds in American gardening (after finding many more scholarly articles on the subject than I could have imagined) and then I went outside and did a practical experiment on waffle bed gardening by digging holes in the ground. Well, that wasn’t all there was to it, actually. 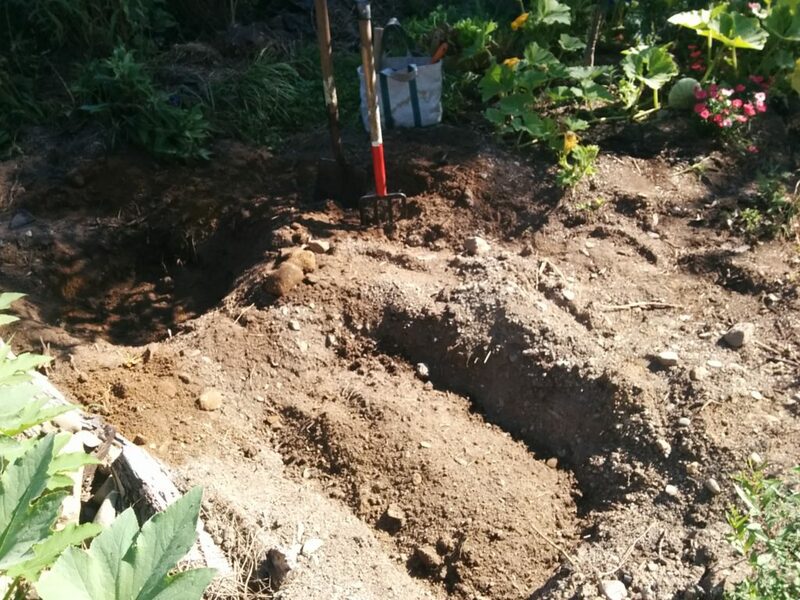 I started by digging a trench and piling the soil up on either side. I was planning to save the good topsoil to a special spot and use it to top off the eventual “waffle” but honestly there wasn’t enough to bother with. I do have a bumper crop of roots, rocks, and yellow clay. Here I’ve finished digging the bed out to below grade. I filled the bottom layer of the walls with old firewood and the rocks (many, many rocks) that came out of the interior, then piled soil and clay on top. One of the sources says to walk around on the walls to tamp them down; you’ll want to walk on them later so it’s a good idea to make sure they’ll hold your weight safely. I sat on one wall of the bed (very comfortable!) and planted celtuce and Brussels sprouts. The forecast is still for below freezing temps overnight this week but these seedlings have been hardening off for a few days and should be fine under row cover. I covered the cell with wire hoops and some row cover. Now the forecast is calling for snow tonight (April 9th!) so I’m going to lower the floating row cover to the plant level and stretch some clear plastic vented material over the hoops for a double layer of protection. Fortunately I have plenty of seedlings! As I’m writing this at 11 a.m. the temps are still hovering around the freezing mark, although it’s pleasant enough if you’re standing in full sun. I plan to continue laying out new beds but refrain from planting anything else out until next week at the earliest. Questions or feedback, let me know! 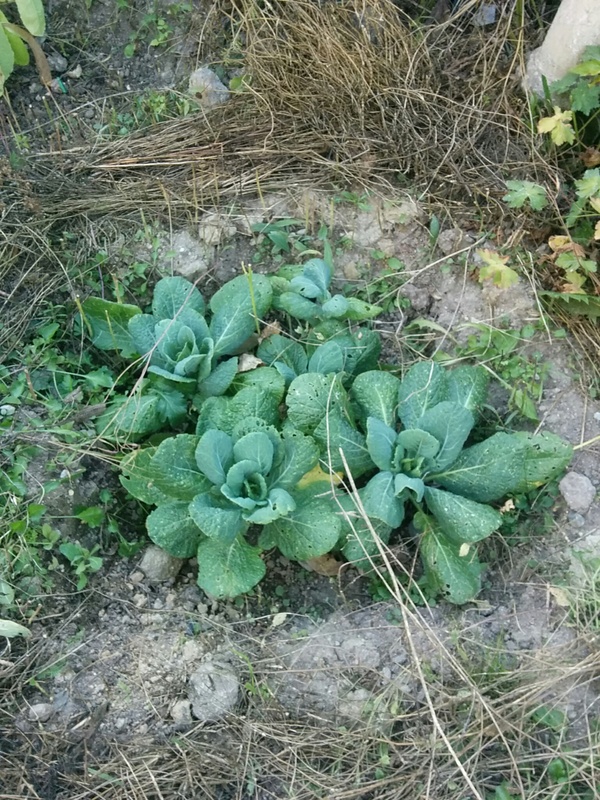 This entry was posted in gardening, horticulture, permaculture, vegetable garden and tagged garden, spring, waffle beds on April 10, 2016 by APo. The title of this post drew you right in, didn’t it? My apologies. This isn’t a post about delicious breakfast treats served with maple syrup, it’s even better than that. This is a revolution in gardening technique and it begins with a rebellion against the most popular home gardening trope of the century – raised beds. There are various theories on the origin of the raised bed in the American landscape, but most point to a series of very popular television shows that promoted them for their orderly appearance and ease of management. Digging over rectangular coffin-sized sections of the garden and segregating them into different plant varieties has advantages, but most of these examples were produced under ideal conditions with superior soil and abundant irrigation. Those of us with very little or very poor soil and irregular rainfall had less favorable results. In the long haul, root action forces salts to the elevated surface and the resulting crust sheds water down the sides of the bed. I don’t water or irrigate and rainfall is rarely gentle or consistent enough to work through the top layers – especially when it breaks a drought and the soil is very dry. In this sense, it’s very much like I’m gardening in a desert – a desert of my own making! 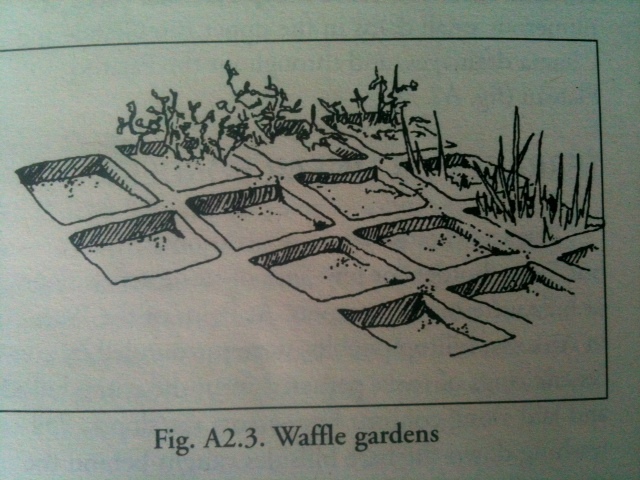 Waffle beds have been used for centuries in gardens all over the world to address just this problem. 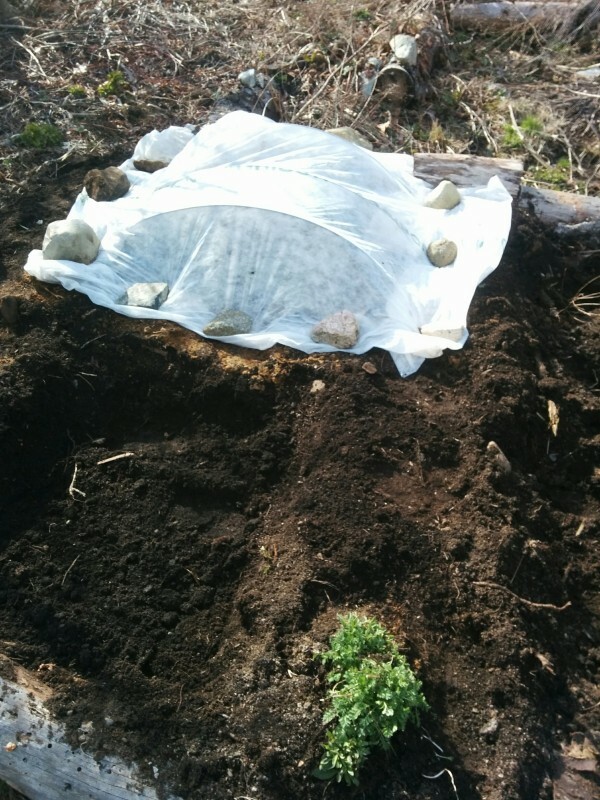 Instead of building up, and exposing more soil to air and sun (good for plants and bad for dirt) the waffle bed sinks the level of productive soil below a surrounding dike of poor soil, conserving water and nutrients as well as providing a wind break. I’m planning on spending the day building my first waffles (well, after the dump run, visiting with my mother, getting the groceries in. . .) and will post Part Two of this saga shortly. Meanwhile, here’s a drawing from Rainwater Harvesting for Drylands, courtesy of Amarillo Tableland, who posted this in 2011 and has an excellent series on seasonal results. 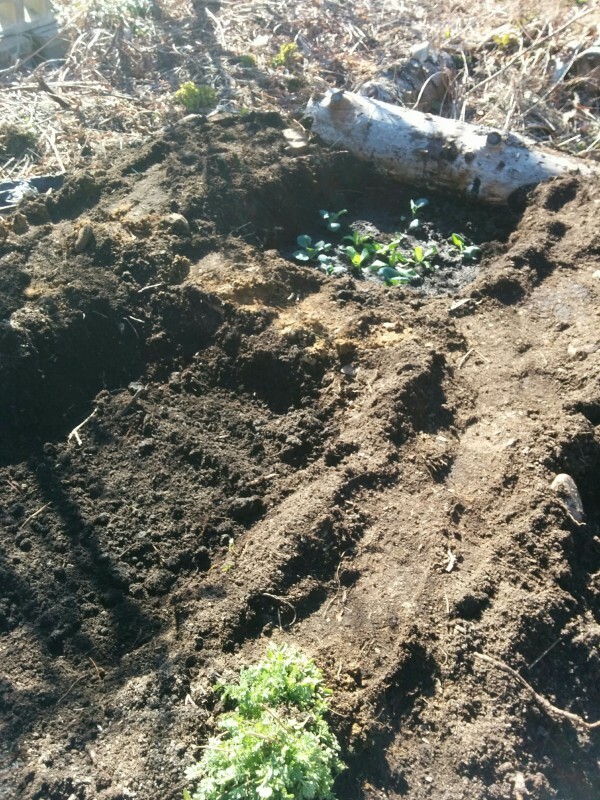 This entry was posted in gardening, horticulture, Maine, permaculture, vegetable garden and tagged garden, hardy ancestors, landscape, spring on April 9, 2016 by APo. I’ve held off on ordering seeds this year in hopes it will keep me from starting the tomatoes too soon and having them grow into hedges under the lights down cellar. Looking back at 20 years of records this is my latest order to date and the earliest was in November of 2002, back in the bad old days when we filled out the complex Fedco orders in the cheap newsprint catalog. The ink bled through the pages and I got my maths wrong every year. Balady Aswan Celtuce, I feel like this would make a good band name, or an unbreakable password in a sci-fi movie. It’s actually a variety of Egyptian lettuce that is “customarily allowed to bolt and enjoyed for its 12–14″ crunchy stems with creamy flavor”. This is just the sort of thing that should growing in my garden. Total for seeds this year = $66.90, plus $4.00 USD that I’m spending on Heirloom Black Sea Samsun Turkish tobacco seed from Hart’s because I think the bees are going to go crazy over tobacco blossoms. This entry was posted in gardening, horticulture, Maine, vegetable garden and tagged garden, seeds, winter on February 7, 2016 by APo. 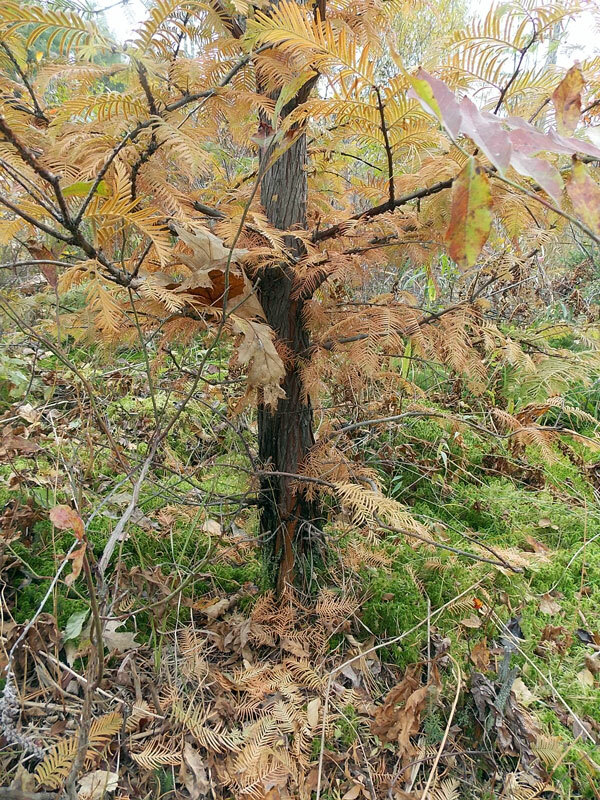 In 2010 I bought a Dawn Redwood tree (Metasequoia glyptostroboides) from Fedco Trees. Fedco specializes in small, very well-rooted specimens that are easy to ship and plant. True to form, what I unpacked from that shipment was the Charlie Brown Christmas Tree of redwoods: 2′ tall with a twiggy trunk and sparse, irregular foliage. I picked a likely spot in our swamp for a tree that would/might eventually reach 100′ and left it to fend for itself (which is my favorite philosophy for growing trees). It worked! Yesterday I went out to visit what has become my favorite tree in the garden. 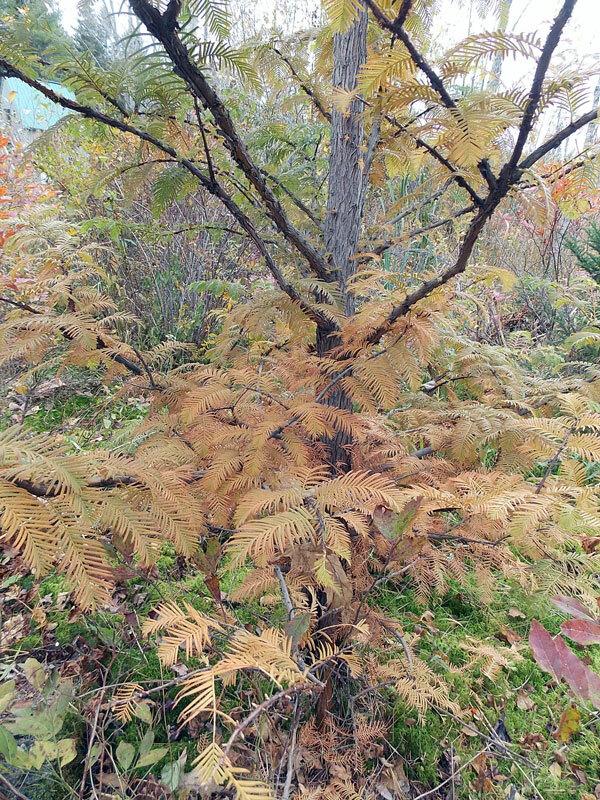 The soft, deciduous foliage is turning bronze – equally as beautiful as the luminescent green color in spring. The trunk caliper has increased to 11″, showing off the striated golden-orange bark that will only become deeper and more colorful with age. R. complimented me on picking a good spot. This is about 15′ from our driveway, which means that if it does get to 100′ (not likely in Maine) the buttressed trunk will probably not interfere with our carpark. Probably. This entry was posted in gardening, Maine, the backyard and tagged autumn, garden on October 25, 2015 by APo. Summer is a busy time. There have been weekends off-island (sometimes on another island), hours spent in the garden, long days spent at work, and lots and lots of holiday traffic. 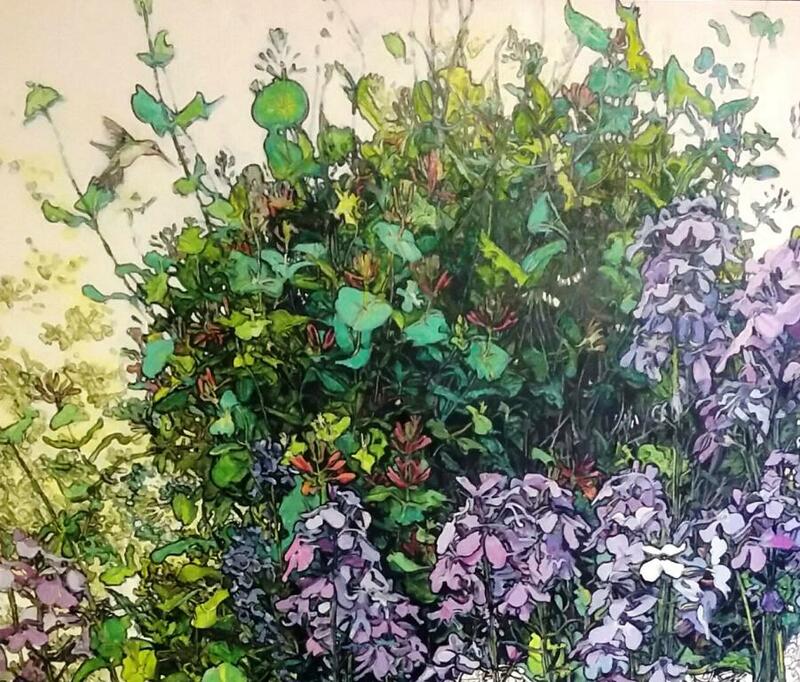 Somehow, I eked out enough studio time to complete the Blackberry Branches painting, and it’s probably my largest and most complex piece to date: 36 x 24 inches, oil on panel. Now, on to a landscape from a sketching trip down to Bernard, on the very tip of MDI. Looking forward to a little more focal length in this one! 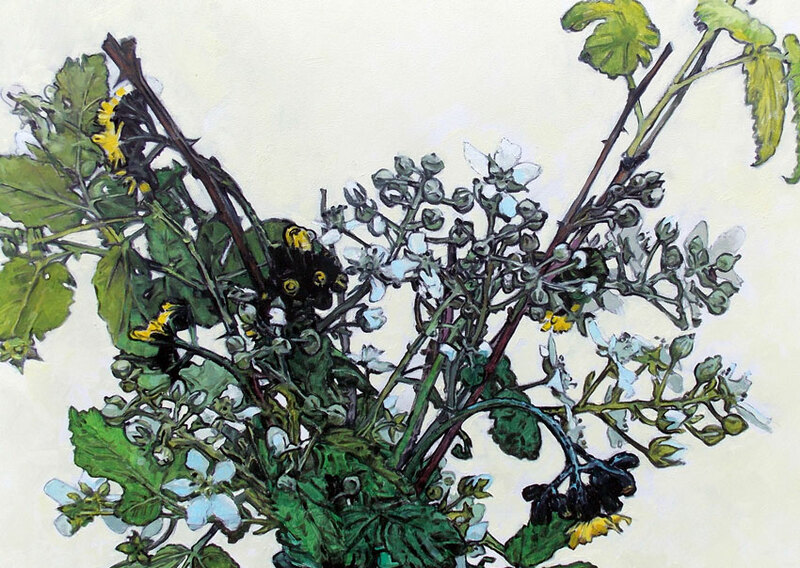 This entry was posted in art, painting, still life, the neighborhood and tagged garden, painting, still life, summer on September 2, 2015 by APo. The garden in July is a nine-day wonder. Every year I’m amazed that the tiny seeds of March grow into a vegetable forest in only 100 days. The dry gravel in the dooryard continues to improve with the addition of seaweed, hay, and now Bio-Char, a soil amendment of organic material heated in a low-oxygen environment. I find it changes the texture and moisture properties of the bed almost immediately. 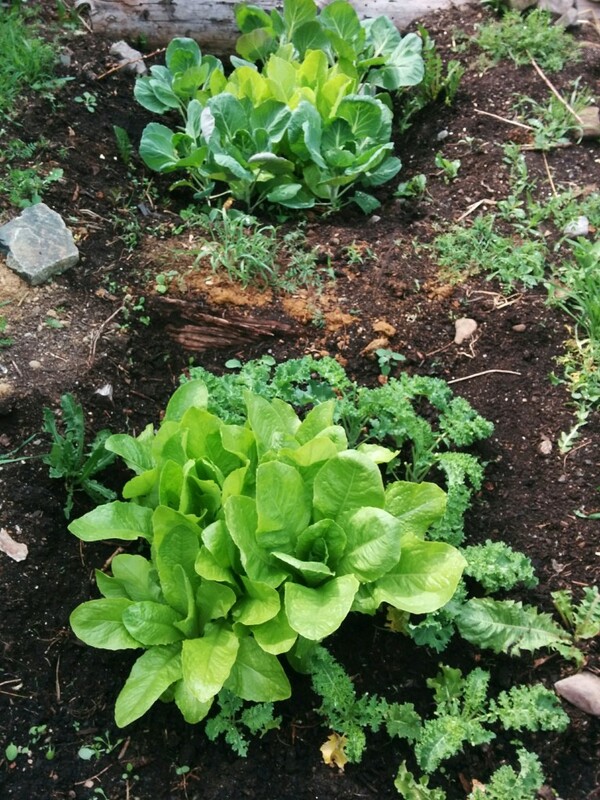 The early Romaine and Blue Lake green beans seem to like it very well. I reclaimed a row of angelica as a new site for yellow, purple, and red raspberries this year but it’s impossible to get every plant – evidence below. 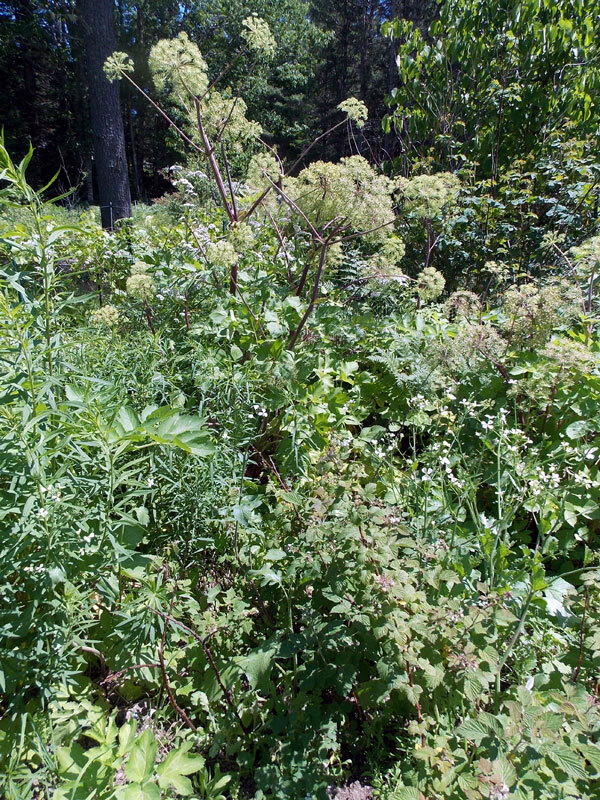 Angelica makes excellent bee forage and, at 6′ tall, there’s plenty of forage on each plant. The basswood tree behind it didn’t flower this year and I miss the long golden racemes but I’m not surprised at the branch damage with the temps settling at 15 F below for days at a time last winter. 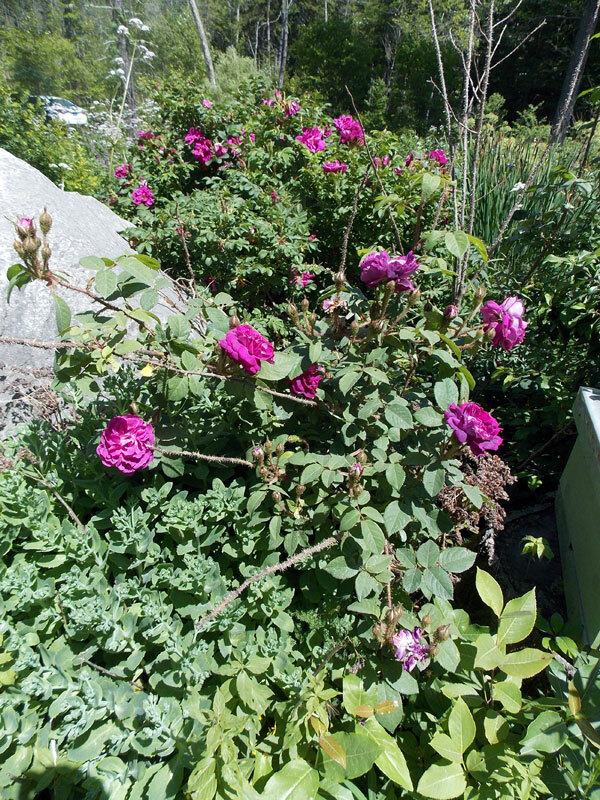 William Lobb, an old moss rose with intensely fragrant and sticky burr along each bud and branch, with a rugosa hybrid “Hugo” in back, both covered in bees. 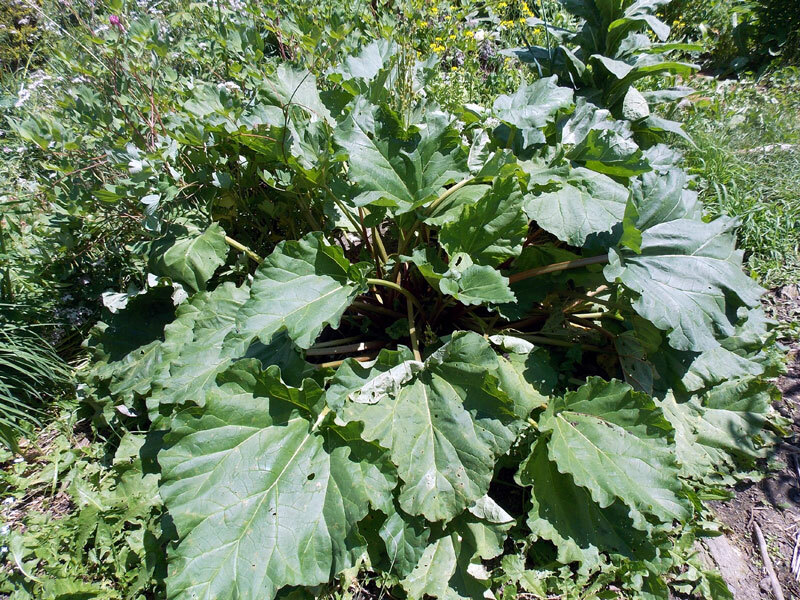 One rhubarb plant is really all you’ll ever need. Seriously. To think I’d planned on three? One of the new colonies, both of which are settling in beautifully. The bees are in the lower portion (or “deep”). The upper two boxes are empty and hold an inverted quart Mason jar with holes punched in the lid to feed sugar syrup during the colony’s transition to a new place. They’ve stopped taking the sugar so I haven’t refilled the jar. The bed of Phacelia (Bee’s Friend) directly in front of the hive is constantly alive with pollinator traffic of all kinds, not just the hived honeybees. Phacelia is a new addition to the garden for 2015. I’ve sown it nearly everywhere I had bare ground this year. 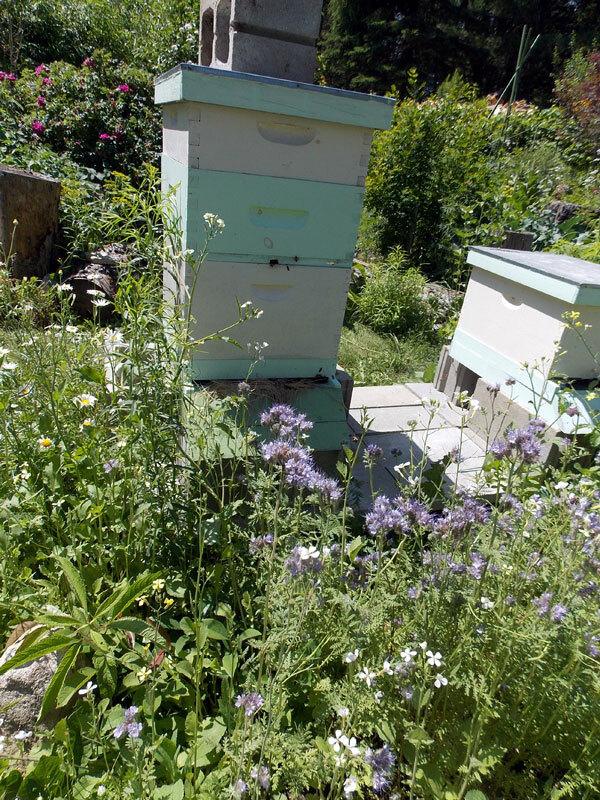 It sprouts generously and easily from seed under harsh conditions, the ferny undergrowth shades the soil to conserve moisture during these hot dry days, and the bees are on the flowers at all times of the day so the nectar flow must be near continuous. I think my next exploration is Nectoroscodum siculum, or Mediterranean Nectar Garlic – a fragrant allium that seeps nectar from drooping flower bells- wow. 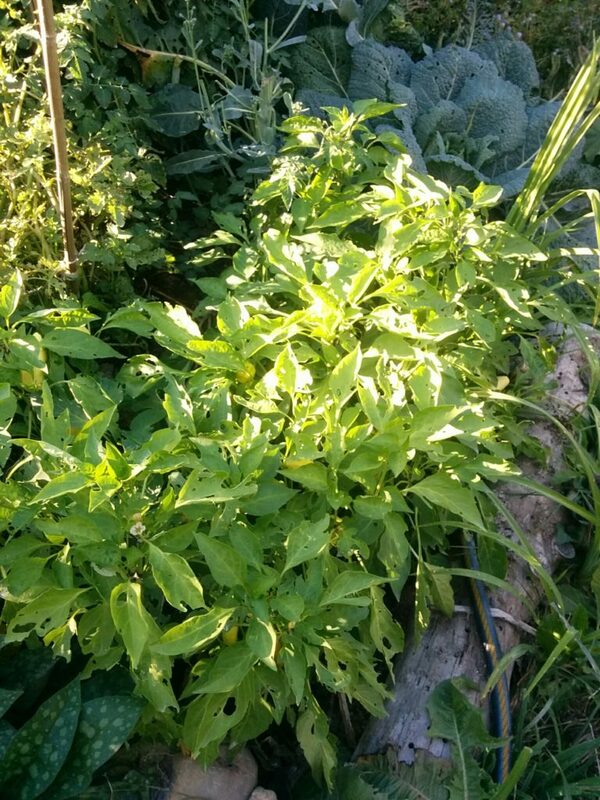 This entry was posted in bees, gardening, horticulture, the backyard, vegetable garden and tagged beekeeping, garden, summer on July 7, 2015 by APo. 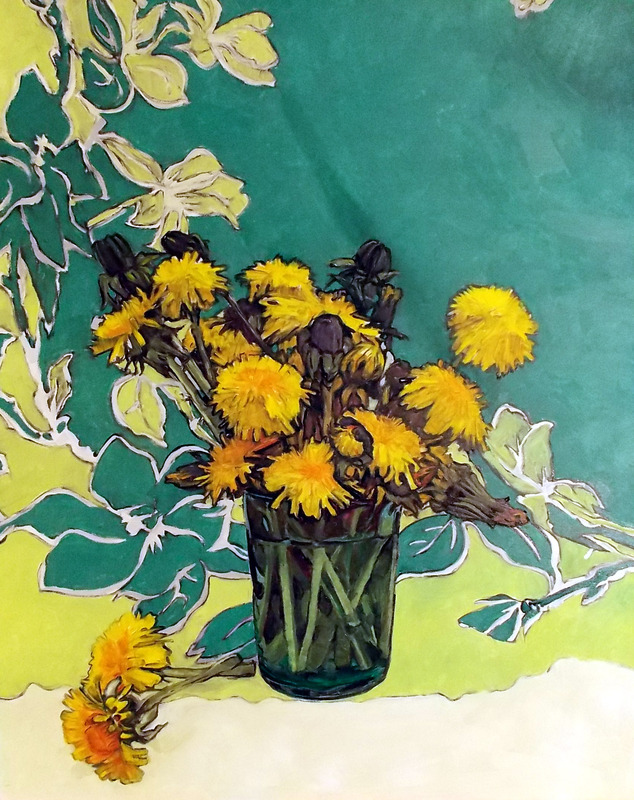 Three weeks ago I looked out on the ocean of yellow “lion’s-tooth” flowers in our front yard and thought, I ought to paint some of those. This is the study, but there will be more (MANY MORE) coming soon. 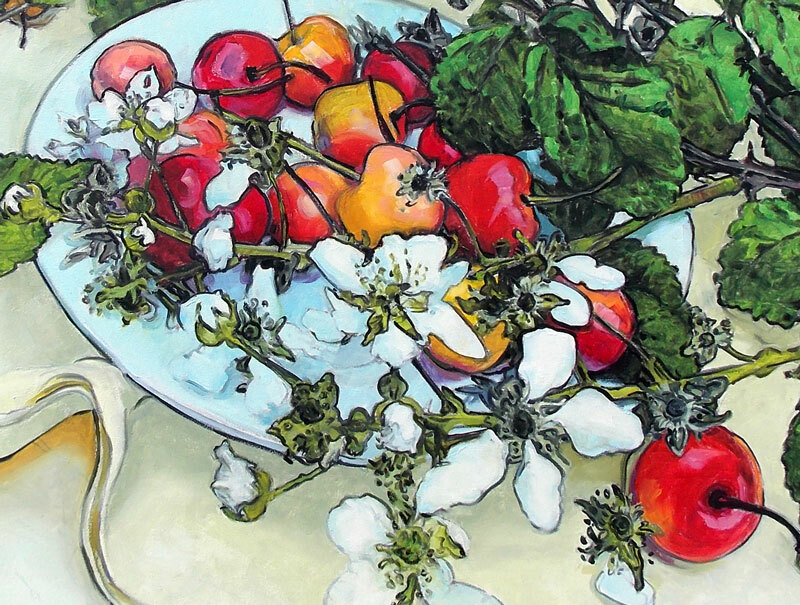 This entry was posted in art, gardening, painting, still life, studies and tagged garden, painting, still life, summer on June 1, 2015 by APo.